The species is distributed in Albania, Macedonia, Greece, southern Russia, Asia Minor and Iran. Armenia is inhabited by nominate subspecies, which occurs mostly in Central regions of the country. 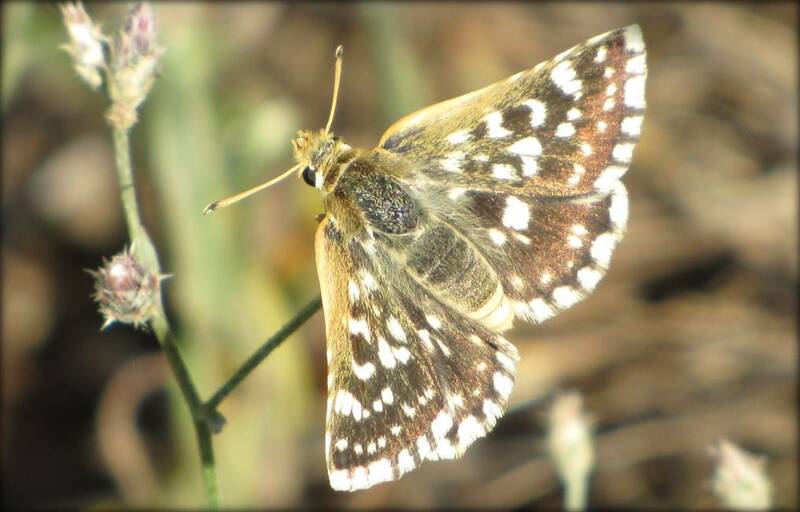 The Persian Skipper is a specialist of calcareous grasslands, occupying elevation range between 1,200 and 2,400 m a.s.l. The only larval host plant - Convolvulus libanotica is known. Annually the species gives one generation, having butterflies on wing from mid June till late July, depending on elevation. The species is uncommon to rare within typical habitat, although the density of its host plant is quite high. In the period of 2003-2013 the species demonstrates stable population trend with large fluctuations though. It appears that the host plant is fairly adaptable, can grow even in degraded habitats, and is not an fodder object for the livestock. In light of the described peculiarities, the fluctuations cannot be explained, which leads to necessity of further study of species ecology, such as environmental requirements, parasites, etc. The species is not included in the Global and National Red Lists, however was evaluated for the Red Book of European Butterflies. Also the species is not included in CITES and Bern Conventions. Preliminary evaluation of its conservation status in Armenia suggest it as a Least Concern, with a reservation of necessary studies. 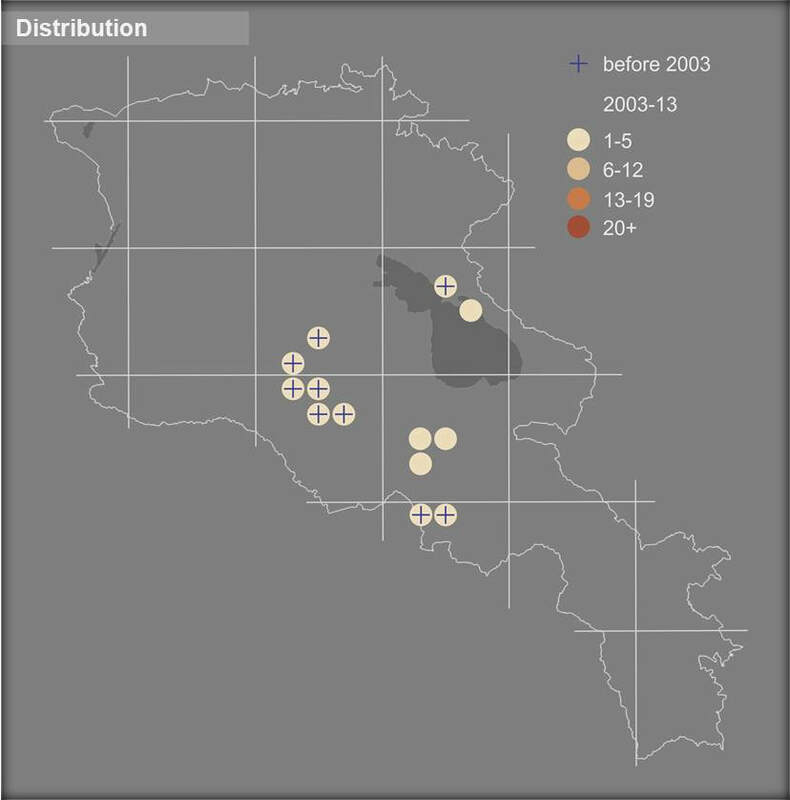 The distribution range of the species is partly covered by Khosrov Forest Nature Reserve, Lake Sevan National Park, and Gnishik Protected Landscape, as well as by Gnisheek, Artanish-Shorzha, and Ourtsadzor Prime Butterfly Areas. It doesn't seem that the Persian Skipper requires additional conservation measures, however it obviously needs some additional investigations to be conducted. It is also necessary to mention the high level of interest towards the species among butterfly-watchers; therefore its use as a flagship species can lead to development of butterfly-watching in the Prime Butterfly Areas, thus developing sustainable community-supported conservation of calcareous grasslands.